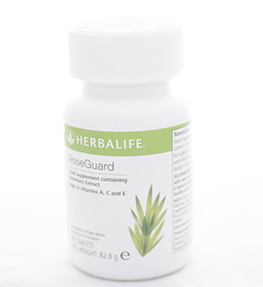 Roseguard has been expertly developed to help you at your best, with a blend of vitamins A and C to support a healhty immune system and vitamin E to help protect the body's cells from oxidative stress. Vitamin A, C and E added - daily dosage of 2 tablets provides 100% RDA of vitamins A and C, and 73% of vitamin E.
Roseguard is a food supplement providing 100% of your vitamin A and C RDA to support a healthy immune system. High in vitamin E to help protect the body's cells from oxidative stress.